Indian Naval Ships Shivalik, Sahyadri, Jyoti and Kamorta of the Eastern Fleet manouvering in the Andaman Sea. The task force is on a routine deployment to Malacca Strait, the Java Sea, Flores Sea, the Arafura Sea and Southern Indian Ocean under the command of Rear Admiral Biswajit Dasgupta, YSM, VSM, the Flag Officer Commanding Eastern Fleet. During the course of the deployment, as part of the ‘Act East Policy’, the ships would make port calls at Singapore, Kuantan (Malaysia), Jakarta and Surabaya (Indonesia), Port Moresby (Papua New Guinea) and Fremantle (Australia). Indonesian Navy arrested six alleged pirates attempting to hijack a foreign-operated tanker near the Malacca Strait, one of the world’s busiest trade routes, reports The Jakarta Post. Six suspected pirates operating in the Malacca Straits were caught by Western Fleet Quick Response Team of Tanjung Pinang base on Monday in Batam waters in Riau Islands. The group was suspected of plotting attacks on tankers passing through eastern Malaysia. The Tanjung Pinang Navy base commander, Comm. Gulf of Aden (East Coast of Africa), Malacca Strait and West Coast of Africa are shipping routes which suffer incidents of pirate attacks. (i) Guidelines for anti-piracy measures issued through Merchant Shipping Notice No.1 of 2011 dated 14.1.2011 to be implemented by Indian Ships. The guidelines provide for elaborate anti-piracy measures (Best Management Practices), including safe house/citadel for vessels. (ii) Banning of sailing vessels to ply in waters south or west of the line adjoining Salalah and Male through Merchant Shipping Notice No. 3/2010 dated 31.3.2010. The Maritime and Port Authority of Singapore (MPA) has released a training programme, produced by Videotel, a KVH company, to encourage safe navigation in the Singapore Strait. Carrying an estimated one third of the world’s traded goods, the Singapore Strait is one of world’s busiest shipping lanes the world’s busiest shipping lanes. Recent projections show that maritime traffic is set to increase significantly along this narrow waterway, which, together with the Malacca Strait, stretches for more than 400 miles, connecting the Indian Ocean and the Pacific Ocean. Berge Bulk Maritime confirms that an its VLOC (Very Large Ore Carrier) “BERGE BUREYA” – (IMO/LR # 9297539) operated vessel was involved in an oil spill incident off Malaysia in the Malacca Strait earlier yesterday morning. There were no injuries to any crew-members and there was no grounding or involvement of any third parties. Whilst in transit between Singapore and Brazil, a quantity of oil was identified leaking from the vessel and the crew immediately enacted emergency procedures to halt the leakage and to start a prompt clean-up operation. Indonesia, Malaysia and the Philippines on Monday agreed to designate a transit corridor for commercial vessels crossing a maritime zone hit by a spate of hijackings by Islamist militants in the southern Philippines. Nearly 20 Indonesian and Malaysian tugboat crew have been kidnapped by the Abu Sayyaf militants this year, with Jakarta airing fears that the problem could reach levels seen off the coast of Somalia. Alarmed at the frequency of attacks, port authorities in some areas of Indonesia, particularly Kalimantan on the island of Borneo, have stopped issuing permits to ships taking coal to the southern Philippines. Indonesia is the world's largest thermal coal exporter and supplies 70 percent of the Philippines' coal imports. Commercial ships have been told to avoid shipping routes around Indonesia and Philippines amid fears that piracy could be reaching Somalian levels, according to Reuters. A spate of kidnappings and pirate attacks in the waterways between Indonesia, Malaysia and the Philippines has prompted the three countries to explore the option of having joint patrols. The waters form part of major shipping arteries that carry US$40 billion worth of cargo a year, analysts say, and the corridor is used by fully laden supertankers from the Indian Ocean that cannot use the crowded Malacca Strait waterway. The Indonesian Navy has instructed all commercial vessels to avoid piracy-prone waters around the southern Philippines, a spokesman for the Indonesian military said on Thursday, following a spate of kidnappings and piracy in recent weeks. "The Indonesian Navy, through the Western Sea Security Cluster, is increasing the intensity of patrols up to the exclusive economic zone border with the Philippines and Malaysia to prevent acts of piracy and hijacking," Indonesian military spokesman Tatang Sulaiman told Reuters in a text message. The busy shipping route along Indonesia's maritime border with the Philippines carries $40 billion worth of cargo each year, notably fully laden supertankers from the Indian Ocean that cannot use the crowded Malacca Strait. An explosion aboard a Korean-registered vessel Heung-A Pioneer killed one person and injured five others during its voyage down the the Tanjung Dawai coast, Malacca Strait, Malaysia near Kedah waters last night. The explosion was preceded by a fire, which broke out in the middle of the ship’s deck. The deceased has been identified as Myanmar national Tha Tun while the victims are aged between 28 and 58. Penang Port received the ship’s mayday call and informed the relevant authorities, including the fire and rescue department and the police station, of the incident. A hydrographic survey of the Straits of Malacca and Singapore (SOMS) was launched today by the three littoral States - Indonesia, Malaysia and Singapore - and the Malacca Straits Council of Japan at the Marina South Pier. This initiative was one of the key recommendations that arose from a study conducted by OMC International Pty Ltd - a maritime engineering consultant - commissioned by the littoral States of the SOMS in 2013 on real-time monitoring of under keel clearance in the SOMS. The death toll from a wooden boat that capsized last week with Indonesian migrant workers off Malaysia's west coast has risen to 61, reports Reuters. 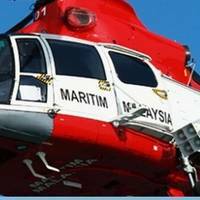 Another 20 Indonesians have been rescued. Malaysian maritime official Mohamad Hambali Yaakup says rescuers have retrieved the bodies of 37 men, 23 women and that of a young girl. "The latest findings bring the number of victims closer to the earlier target of about 70 to 80 passengers. Even though it is approaching the target total, the operation center will remain open until further instructions," he said. A report in the Straits Times Vietnam is set to build a US$2.5 billion seaport in Ca Mau, its southernmost province, hoping to steal some spotlight away from the more popular regional hubs Singapore and Malaysia and could be a clue to Kra Canal. Vietnam announced that it would build a US$2.5 billion deep-water seaport, named Hon Khoai Port, on an island 17km off the coast of Ca Mau, Vietnam's southern-most province. The project was approved by Vietnamese Prime Minister Nguyen Tan Dung. A ship with 3,500 metric tonnes of marine fuel oil that was reported missing in the Malacca Strait off Malaysia on Saturday, has been found in Indonesian waters without its cargo, Malaysian Maritime Enforcement Agency said. The 10 crew members of the Singapore-registered tanker MT Joaquim, which had been on its way to Langkawi, Malaysia, from Tanjung Pinang, Indonesia, were released by a group of hijackers at 0055 GMT on Sunday, the Malaysian Maritime Enforcement Agency said in a statement on Sunday. Singapore-headquartered anti-piracy watchdog ReCAAP Information Sharing Centre (ReCAAP ISC) posted a 19% increase in the number of reported incidents to 20 cases in May 2015 as compared with April 2015. Among 20 incidents were reported in Asia, of which two were acts of piracy and 18 were incidents of robbery onboard ship. Graph shows the number of incidents reported in May 2015 compared to the same period in the past four years (2011-2014). Of the 20 incidents reported in May 2015, 14 incidents occurred onboard ships while underway and six onboard ships at anchor/berth. China has unveiled the principles, framework, and cooperation priorities and mechanisms in its Maritime Silk Road initiative in a bid to enhance regional connectivity and embrace a brighter future together. The plan consists two segments - One is centered on the Asian land mass and called the Silk Road Economic Belt; the other looks to the South China Sea, the South Pacific and Indian Ocean and is known as the 21st Century Maritime Silk Road. Together, they go by “one belt, one road” to Chinese officials. The Republic of Singapore Navy (RSN) and the Royal Malaysian Navy (RMN) conducted a bilateral maritime exercise, reports Channel News Asia. The 12-day Exercise Malapura involved about 600 personnel from Singapore Navy and Malaysia. Both navies carried out joint planning and training at Changi Naval Base (CNB), and conducted drills in conventional naval warfare and maritime security in the Malacca Strait. The Defence Ministry said Singapore's frigate, a missile corvette, a patrol vessel and a naval helicopter were part of the exercise.